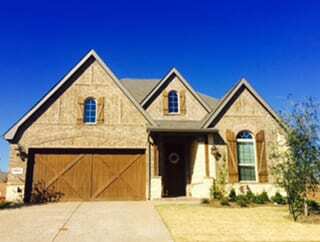 Wylie, Texas homeowners can count on Action Garage Door for all of their garage door repairs and replacement needs. We provide comprehensive service throughout the Dallas – Fort Worth community and have more than 30 years of experience meeting the needs of homeowners in Wylie. Our experienced technicians provide exceptional service and reliable workmanship every time we are called out. 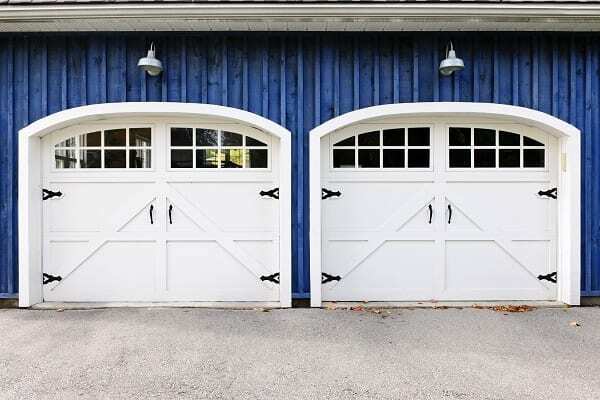 If you need a new garage door or garage door repair in Wylie, call our professionals first. Don’t put off getting your garage door fixed. Often, we can reduce the amount of damage to your door if you stop operating it and allow our technicians to make repairs right away. Action Garage Door aims to provide you with the very best product every time. That’s why many of our garage doors have long-term warranties. Even with this benefit, we always ensure the very best quality and a low price. It is in these features that ensure your 100 percent satisfaction. Let our sales team visit you to learn more about how we can meet your garage door repair and replacement needs. To get started with your garage door repair, installation, or replacement, contact Action Garage Door in Wylie today and let’s talk about the options available from the garage door repair company that has been caring for customers since 1984. If you need garage door service in Wylie, your best bet is to call Action Garage Door Repair. No matter what the problem, our team will respond quickly to your request, whether you need a replacement part or a quote to replace the door. No job is too small — or too big — for our trained professionals. The community of Wylie, Texas, once known as Nickelville, is a moderately sized community in Collin County (though some portions extend into Dallas and Rockwall). It is located in the northeast area of central Dallas, providing very easy access to Dallas and the entire Dallas – Fort Worth area. Close to Lake Ray Hubbard and spanning some 35 square miles, this is a rather large community in size. It is also home to over 41,000 people. One of the keys to understanding Wylie is to take a closer look at its growth. This community has seen impressive 173 percent growth in population from 2000 through 2010 and continues to expand today. There are over 5,000 homes here, with more than half having children. The average household size is just under three people. And, the median income per household is $58,400. The cost of living in Wylie is a bit higher than what is expected throughout the Dallas – Fort Worth community. Wylie’s cost of living base, out of 100, is 105.6, making it a bit more expensive than other areas. A studio apartment here costs about $760 per month compared to $652 in the region. A two-bedroom home rental in Wylie will cost $1130 per month compared to $960 throughout the area. The median list price of a home for sale in this community is over $343,000 with a median price per square foot of $123. Wylie is known for many things. The local city government of Wylie is a good place to start for those who want to add a new business here, explore local programs, or find the ideal place to live. The Wylie Parks Department offers dozens of parks and green spaces for the public, including a diverse recreation center. The city has 700 acres of parkland, including 15 playgrounds, 10 miles of biking and walking trails, and numerous sports facilities. The Go Ape adventure for ziplining fun. Downtown Wylie – a fantastic location for festivals as well as shopping. The Discover Downtown Wylie organization maintains numerous activities throughout the year. One event is the 500 Pedal Care race, which is in its 13th year. The Wylie Independent School District provides education for students here. A diverse community, anyone looking to live or work here should check out the Wylie Chamber of Commerce to learn more about options. Called for annual sevice/ maintenance. JR came out in an hour or so. Extremely satisfied. Jake was very nice and did a great job in fixing our garage door. Would highly recommend to our family and friends. Arrived quickly, looked it over, identified known issues and possible issues, worked thru Ann's solved. No hard sell, identified issues and options for repair. I very much appreciate the honesty. Excellent service! Prompt and very helpful! Jr is super! We’ve had this company help us over the years. Always quick, reliable, and great quality of work! Very easy to schedule, next day service and had everything required for the job. Fantastic!! Thank you for your help! Applied Cable off Service as well as 12 Point Door Tune up!